Vinformatix developed Signal, a GIS-driven application for efficient tracking of mobile assets and personnel. 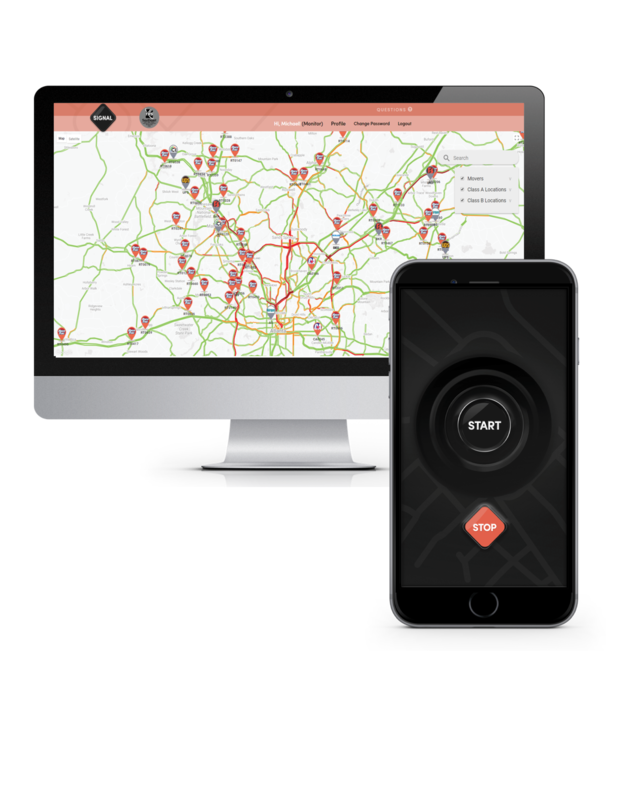 Signal provides real-time location services (including geofencing) for managing a corporate fleet or mobile work team, allowing dispatchers to track and optimize resource deployments and routing. Signal integrates the native GPS capability of mobile devices, Google Layers online mapping, and a powerful back-end database accessed through a secure web-based portal. For mobile users, the app (available for both iOS and Android) requires only the press of a button to activate the tracking function. For dispatchers, the portal manages data associated with fixed locations (e.g., customer and supplier sites) and mobile user profiles, while displaying in real time the locations of personnel in transit. For added functionality, users can easily toggle between different geographic and personnel data layers using touch-screen monitors. Signal has been used in the machine repair industry to track mobile units and in large marathon races to monitor locations of medical staff and other race personnel. Other potential uses include the tracking of personnel and assets for government agencies—for instance, for a municipal department of public works. Whether in a standalone application like Signal or as a component in a larger system, Vinformatix harnesses the power of GIS to help industry and government get where they need to go.